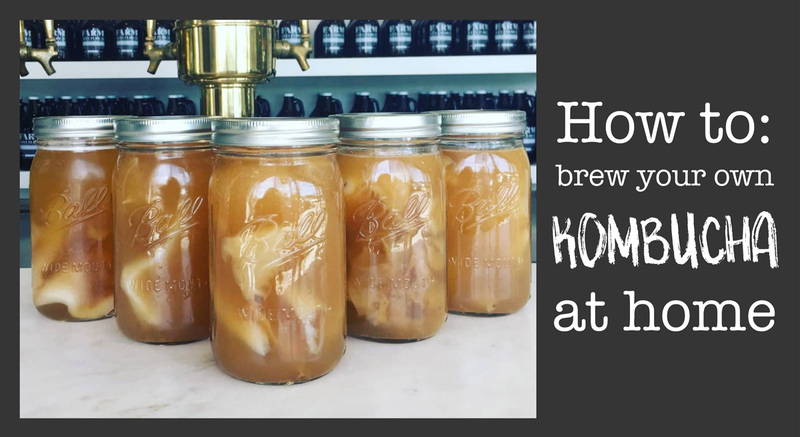 How to Make Kombucha - Farm & Culture Co.
Today I’m going to go over a basic Kombucha brewing recipe, in which I will teach you how to make 1 gallon of Kombucha from home! With just a few simple steps, you will be able to brew your own batches of Kombucha, save money, and begin your path towards a healthier lifestyle. However, you will need a few core ingredients to get started. You will need a 1 gallon jar/vessel, about 2 tablespoons of Black Tea, 1 cup of organic cane sugar, 3 and a half quarts of purified water, 1 – 2 cups of starter culture, and last but not least, the SCOBY. 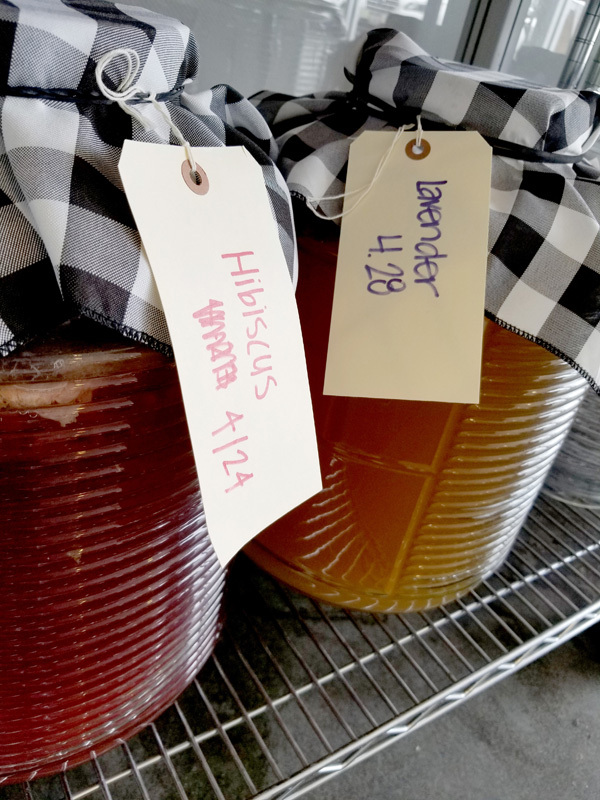 What is starter culture and SCOBY? If you are an avid kombucha drinker, you might have heard of SCOBY before. However, you probably didn’t know that it is an acronym which stands for Symbiotic Culture Of Bacteria and Yeast. Along with the SCOBY you will need starter culture, which is simply finished Kombucha from your last batch. If you need SCOBY you can actually find it for sale here on our website, and keep in mind that the SCOBY replenishes itself during the fermentation process. You therefore don’t need to keep on buying new SCOBY, though you do want to use the new/fresh part of the original SCOBY for each new batch and discard the old parts. The first step in brewing Kombucha is brewing tea. Pour one quart of water into a pot, add sugar, and bring to a boil. Then, add two tablespoons of your tea blend, and let it steep. I prefer to let the tea steep for as long as possible (sometimes even overnight), but you should allow the tea to steep for at least 8 minutes. Once the tea has finished steeping, pour it into your glass vessel. I recommend putting a metal spoon or other utensil into the glass vessel when pouring the tea to act as a conductor for the heat, in order to avoid shattering the glass. You can also add a little bit of water to speed up the cooling process. In addition to keeping the vessel from shattering, it is incredibly important to make sure that the tea cools because if it is too hot it will kill all of the good the bacteria in the SCOBY. Next, add about 1 – 2 cups of the starter culture and SCOBY. The more starter culture the better, and remember that it is more important to have adequate starter culture than SCOBY! Finally, fill the remainder of the vessel with water. You are now ready to let the fermentation process begin. I like to cover my vessels with a piece of cloth and wrap it tightly with 2 rubber bands. Always use 2 rubber bands! That way if one breaks your batch isn’t ruined. Don’t forget to label your batch and include the date. Allow somewhere between 7 – 14 days for the Kombucha to ferment, depending on how tart or mild you like it. Brewing Kombucha is one of the easiest ways to grow probiotics in your own kitchen, and because it is a natural soda it is a great gateway to get family and friends eating/drinking healthier. If you are already a Kombucha drinker, this method will help you save tons of money! If you haven’t already, I would recommend signing up for our newsletter. We will email you a free recipe that you can print out and have on hand each time you start a new batch. You can find everything you need to get started on Kombucha, here on our site. If you really want to make it easy, we have a kit you can purchase. Along with that we sell several different proprietary tea blends and even SCOBYs. If you are interested in learning more about Kombucha and Gut Health in general, I highly recommend reading “Nourishing Traditions” by Sally Fallon and/or “The Big Book of Kombucha” by Hannah Crum. Enjoy it and have Fun!!!! Interested in carrying our artisan brewed kombucha in your restaurant and/or venue? Would you love to create a one-of-a-kind custom flavor for your special event or business? Contact us about wholesale opportunities. For a free Kombucha Recipe, subscribe to our newsletter using the form to the right.